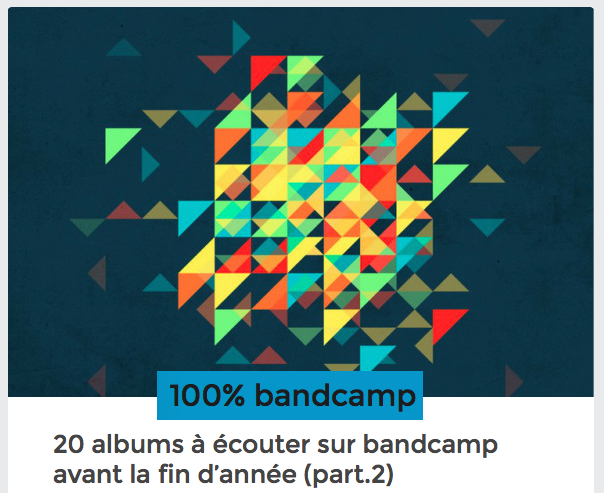 Turns out there’s this interesting French blog called 100% Bandcamp that appears to exclusively lists composed of music compiled from Bandcamp. The most recent post is the second part of their list of 20 albums on Bandcamp to hear before the end of the year. At least I think that’s the translation.